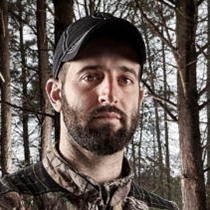 Carson Koury is the Host of the Final Draw: The American Outdoor Experience. He and his wife, Lynsey, own and operate Buttermilk Creek Outfitters; an outdoor outfitter and bow shop with two locations in Burlington, North Carolina. When they aren’t in the deer stand they’re spending time with their little girl, Charlee.